The livestream is over, but our look at the new Corolla has just begun. Update: The Livestream is over, but that means the new Corolla is here! Read about it in our first look at the 2020 Toyota Corolla. With over 40 million units delivered since 1966, the Toyota Corolla is one of the bestselling automotive nameplates in the world. The Japanese automaker is now about to unveil the latest generation of the venerable model at the Guangzhou International Automobile Exhibition in China. You can watch the sheet come off live from the stream embedded above at 10:00 PM EST or your local equivalent. 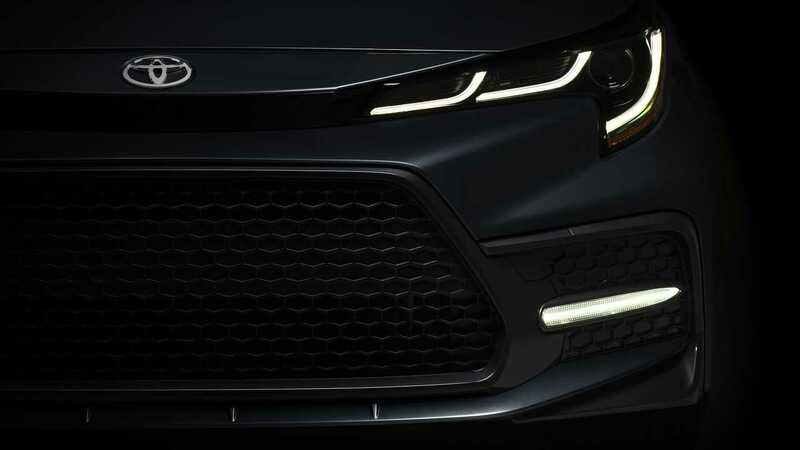 The unveiling will specifically be for the Corolla sedan that will go on sale for the 2020 model year. The teaser above indicates that the four-door looks a lot like the five-door hatchback and wagon for Europe. The latest generation moves to Toyota's TNGA platform like the Prius and C-HR. At this time, powertrain tweaks for the North American market are a mystery, but European models are available with a 1.2-liter turbocharged engine or hybrid 1.8- and 2.0-liter powerplants. We are curious to see how the new Corolla stacks up in a competitive compact market against the recently updated Honda Civic and latest generation of the Mazda3, among others.